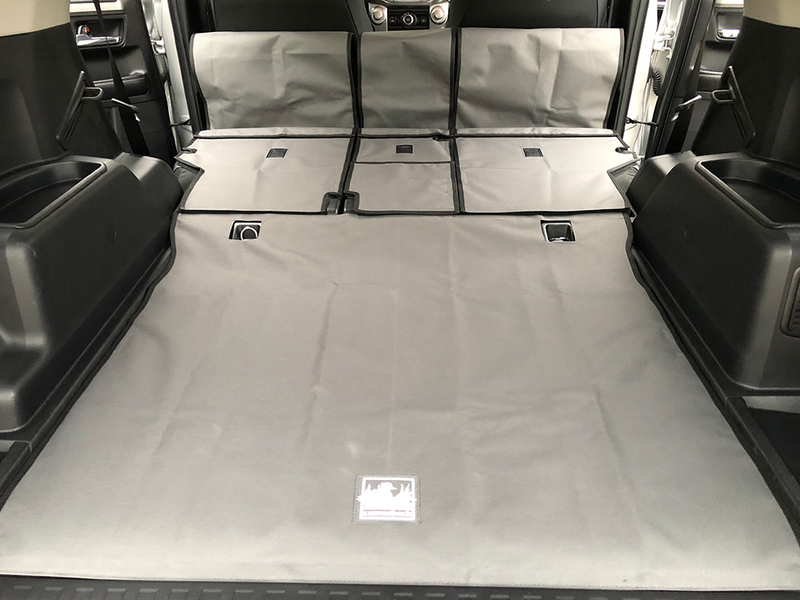 If you ask people in the 4Runner groups about cargo liners, you will get a number of responses for perfectly good options. One name that kept coming up was Canvasback. 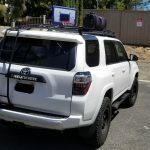 I saw them in person for the first time when I met a local 4Runner owner to buy the factory crossbars for my roof rack. He had them and told me how much he liked them. I needed something to protect my cargo area from the wear and tear of luggage, fishing gear, trips to the home improvement store, and my dog. Removing mud and dog hair from the cargo area carpet is not easy. And, I wanted something that would go above and beyond the typical rear cargo liners out there. 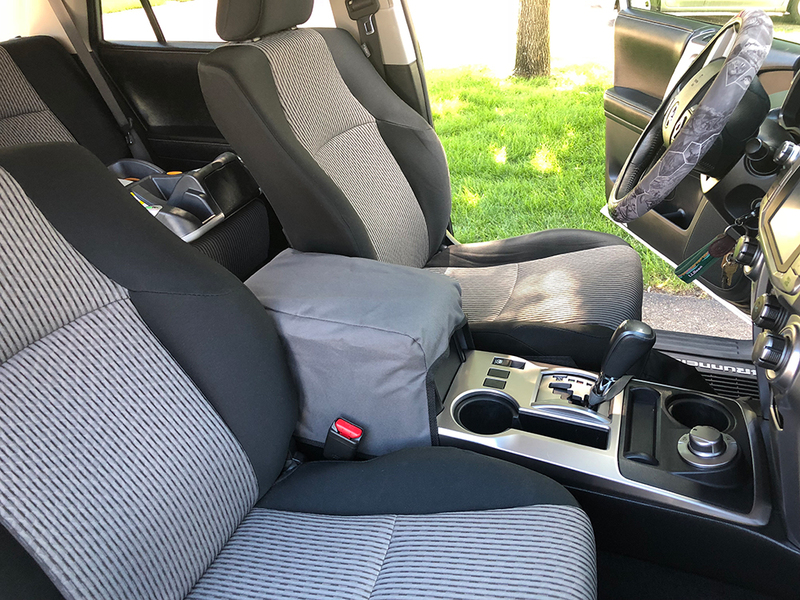 I decided on the graphite cargo area cover, the center console cover, and the flaps to cover the bottoms of the rear seats when they are folded up. 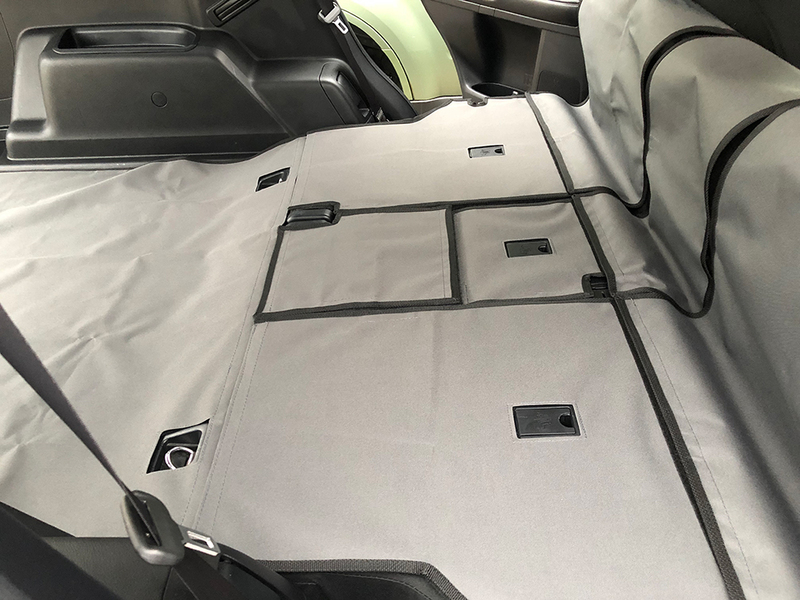 This cargo liner covers the cargo area & back of 2nd seats and 3rd seat if applicable. Comes in either 4, 5, or 6 pieces depending on your configuration. Canvasback offers multiple color options and will accommodate 3rd-row 4Runners and 4Runners with cargo tray. My dog does not climb on the doors, or I would have ordered the door covers as well. I still plan to order their rear hatch cover and wheel well covers. Moving forward, I wanted to be sure that they lived up to the hype before spending the extra money. I have not been disappointed; the quality is exactly what I had hoped for. I do not live too far from their offices in Spring Park, MN, so I decided to go pick up my order when it was ready. Each order is custom built, so their two-week turnaround is very reasonable. I picked up the package and was surprised that it wasn’t much larger. Maybe I’m just a skeptic, but I opened it before I left the parking lot to make sure it was all there. 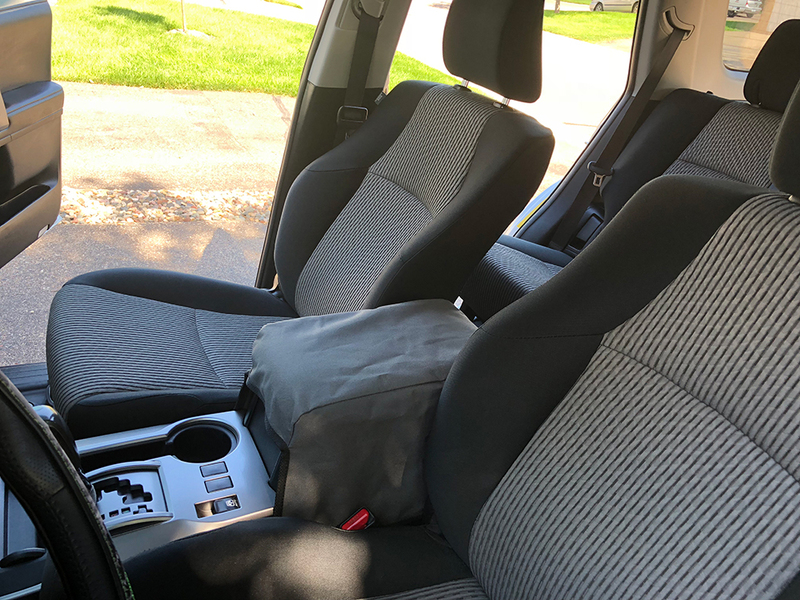 The 600 Denier Textured Poly Fabric and PVC liner are very thin, but do an amazing job of protecting the interior of my vehicle. Installation is very straightforward. The outer edge of the liners features Velcro that secures it to the carpet. Simply line it up around the edges and press it down on one side of the cargo area. Flatten it out, pressing the rest of the liner down and pull it tight to the other side. When installed properly, the D-ring cutouts will line up. I only have two rows, but they make them for 4Runner that have the 3rd row. Next, attach the panels for the backs of the seats. My 4Runner has the 60/40 rear seats. This requires 4 pieces. One for the driver’s side, one of the passenger’s side, and two for the center. When my family is on a road trip, we take advantage of the 60/40. My son’s car seat is on the 40 side, and we fold down the 60 for the dog’s bed. In order to protect the underside of the seat when it is folded, I purchased the three piece set of seat flaps. They attach to the Velcro that is exposed on the tops of the seat back panels. Once they are attached, they can be flipped over the top and tucked in behind the front seats. 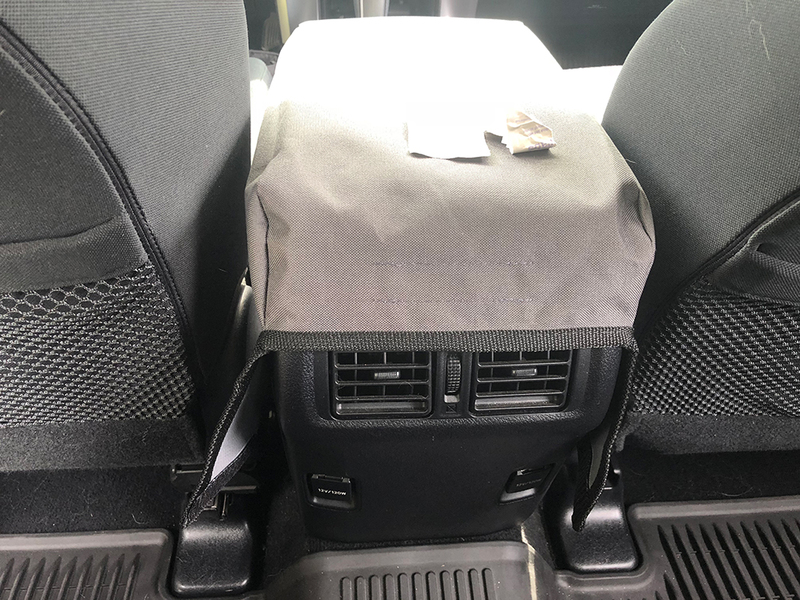 They have really done a great job of keeping the hair off of the underside of the seats and they protect the back of the seat panels when the dog decides to climb over them on to the center console. The center console is the last piece that I have installed so far. For the first month or so, I just pulled it over the console when we were heading to the cabin, leaving it loose. While this does keep my dog’s claws from scratching the console, it tends to move around. I finally decided to attach the adhesive-backed Velcro pieces that came with it. 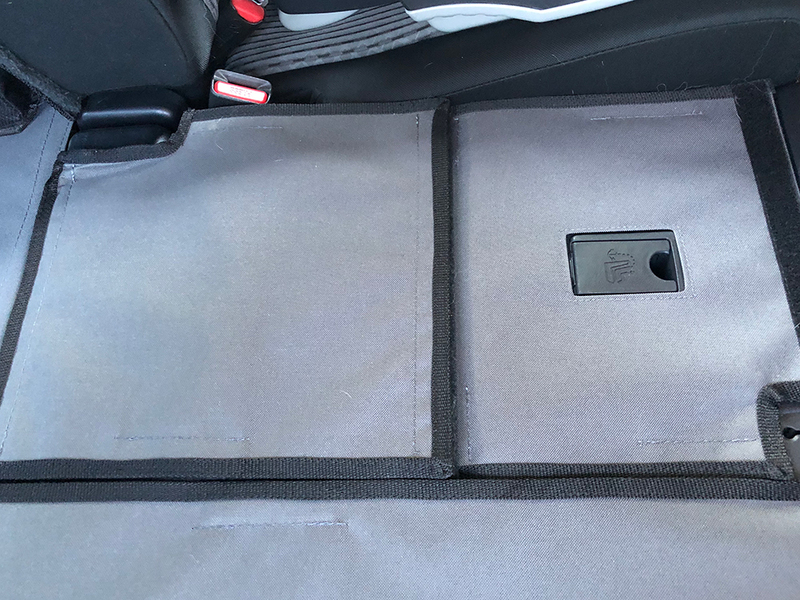 It has one strip on each side, in between the seats and the console, one for the top center of the back of the console (right above the air vent), and one for each side of the rear (right above the 12V plugs). It is intended to slightly wrap around the rear of the console. I cleaned the plastic well, first with my interior cleaner, then with alcohol wipes. I could not get adhesive strips on the back of the Velcro to stick. After a couple of attempts, I decided to try a stronger Velcro that I had in the garage. It worked great, for about a day. Even with the stronger Velcro, and additional surface cleaning, I was not able to get any adhesive-backed Velcro to stick to the pebbled surface on the sides of the center console. I plan to go to the home improvement store to try one more time, but nothing has worked so far. I like the way it looks when it is secured to the console. It looks like a cleaner installation, and the slight wrap around at the bottom is a nice touch. That being said, when I have the cover on the console the seats are folded down and I cannot see the rear of the console. I do not leave it on when I am just commuting and the dog is at home. Initially, after the install, the pieces had creases from being in the packaging. It relaxed after a week, and it now lays extremely flat. One of the best parts of these liners is how easily they clean up. My American Eskimo sheds like few other dogs that I have owned. Removing her hair from the seats and carpet of my Tundra took a vacuum, lint roller, and a lot of patience. 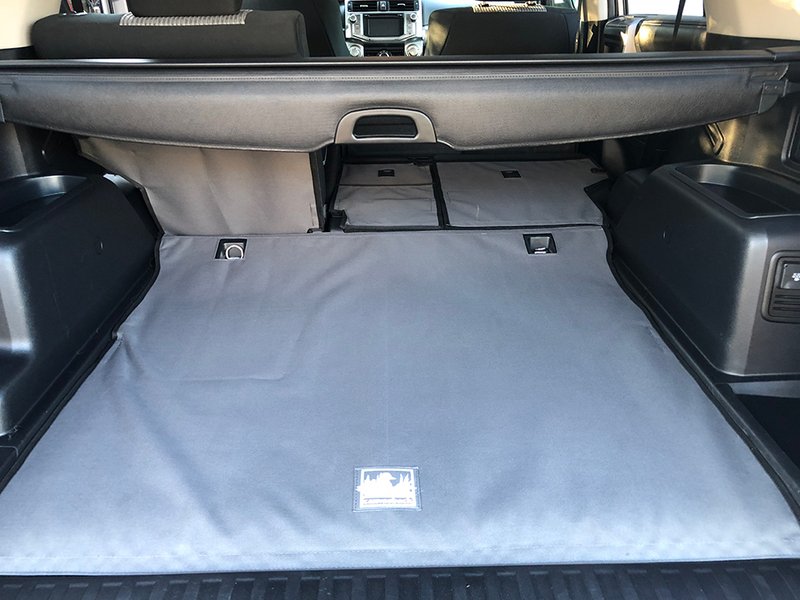 The local gas station vacuum easily removes the hair and any dirt from these Canvasback Cargo Liners. If I can get the Velcro to attach to the console, it will be the icing on the cake. 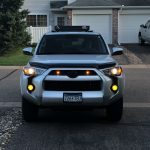 This is one of the most useful accessories I have purchased for my 4Runner. Outside of rubber floor mats, this is one of the best ways to protect the interior. The material is durable, easy to clean, and fits like a custom product should. On top of that, Canvasback has some of the best customer service of any business that I’ve dealt with in a long time. Brooks, the CEO, reached out to me several times to answer my questions about their products and to make sure that I was a satisfied customer. Canvasback has earned their stellar reputation among 4Runner owners. My name is a Josh, I’m a long time Toyota truck owner but this is my first 4Runner. Whether it is family trips to the cabin in the summer, or getting around town in a Minnesota winter, this is exactly what we needed. use a pumice (or however you spell that word) next time to remove hair from the carpet. 10x better than vacumm and lint roller. I tried the pumice, felt brushes, and the rubber brushes at the pet shops. The American Eskimo fur beats them all. I’ve had her for 13 years and nothing works well. It is just a matter of time and patience to get it all out. They look great! Would love a set… Being so close to you maybe they would offer a discount or group buy for Members/Readers? Nice install and write up, Thanks! I’ve had a set of the Canvasback Liners in my 4Runner for about 8 months. I have the third row seat, so I am often folding the back row up and down. They fit exactly how you’d hope they would and have needed no adjustment over time. Between my hound dog and my three kids jumping all over the back, they are doing wonders to protect my truck. These liners are incredibly well made and worth every penny.